Too often companies dive right into connecting physical hardware, building custom apps, and spending significant time and cost on custom development work. Before spending valuable time and resources, the first step should be to create a model of a connected business to help envision its capabilities. What data could your product generate? What new features can you enable by connecting it? How will connecting a product increase your top and bottom lines? By taking a model-first approach, it allows a company to better understand how they can create new value through IoT without spending considerable amounts of money on custom development costs. It also better defines what will be required in this new model, such as the types of users, data and business systems that will be required. The next two key building blocks for success are device hardware and connectivity, and connected product management (CPM). Hardware is often one of the most difficult aspects of connecting a product as there are a variety of considerations — power, connectivity, sensors, form factor, environmental and system integration. The good news is that there is innovation happening in this space and a variety of solutions exist from gateways to add-on systems to Bluetooth-based modules and full embedded hardware. By having a clear understanding of the use case, there is a set of hardware types that can meet almost any IoT application. Along with hardware, the selection of a CPM solution is critical. A CPM is the system of record for connected products that manages the data and makes it actionable across a business. It will structure product data, manage users and relationship maps, update devices and firmware, and integrate that data into other business systems. Once all of this is done, the company can then focus on the user experience through an app. The most common use case we see for connecting products is to create a user app that allows for better monitoring and remote control. Any company first launching a connected product should minimize the features they include in their app as much as possible. Create a hypothesis based on the key features the product will enable, and test those first. Too many companies pour significant time and energy into features within apps that never get used. The goal is to create new value in the first app, but not to address every use case. Another area that tends to slow a company down is lifecycle management and remote support. Too often companies think about product support in the field as an afterthought. 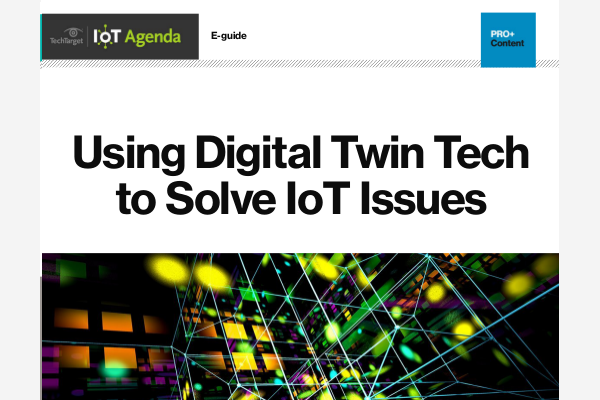 Provisioning workflows, remote updates and device health are all critical to IoT success. The selection of a connected product management platform should also closely link to how a company plans on supporting their products. A simple example is how firmware will be updated across devices. While these workflows can seem simple to start, they can quickly become very complex across thousands of devices and with a variety of different users. The final, and most important from a business perspective, is making data actionable and gathering new data insights from connected products. Too often companies create IoT projects in a vacuum, where it is costly to get the data into other business systems. Much of the data created by IoT connected products is most valuable in other parts of the business, outside the product or innovation teams. As a company begins its IoT journey, they must understand how to make the data accessible and actionable across the business. The internet of things seems complex when a company is just starting out; however, managing these building blocks correctly, companies can accelerate time to market and dramatically reduce the risk and cost of IoT — and ensure IoT success.